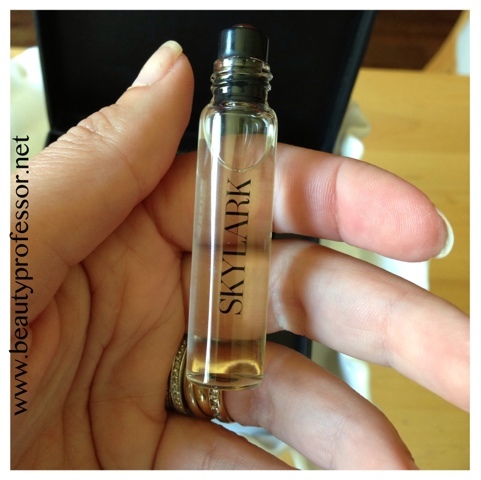 Above: The Skylark Memoir Collection is a Dermstore/Blush.com exclusive. My taste in fragrance runs the gamut...from the "love it or hate it" Tom Ford Tobacco Vanille to the ultra mainstream Prada Candy, I tend to gravitate towards sweet, musky skin scents. I often purchase the smallest bottle of perfume as much as possible, since the fragrance in my collection goes through regular rotation and I rarely finish an entire flacon! My latest foray into scent came compliments of Blush.com and features a darling trio of rollerball vials with distinct personalities. 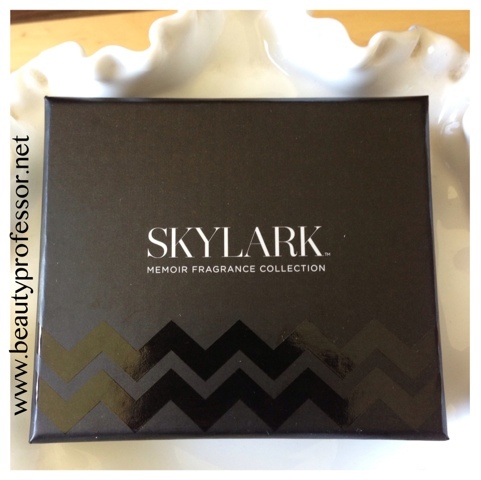 Created by YouTube luminaries, Elle and Blair Fowler, the Skylark Memoir Collection offers three purse-sized scents perfect for someone who enjoys switching their fragrances frequently. Above: All three scents, safely nesting in their box. Retailing for $59.99, the rollerballs come securely housed in a compact box that makes for excellent storage when not in use. Above: Each rollerball is large enough to contain an ample amount of product but small enough to toss into your bag without creating bulk. Each rollerball contains a very reasonable .18 fluid ounces...while some might fear running through this amount of perfume quickly, the significant lasting power of these fragrances allows me to apply only once or twice in the day for full impact. 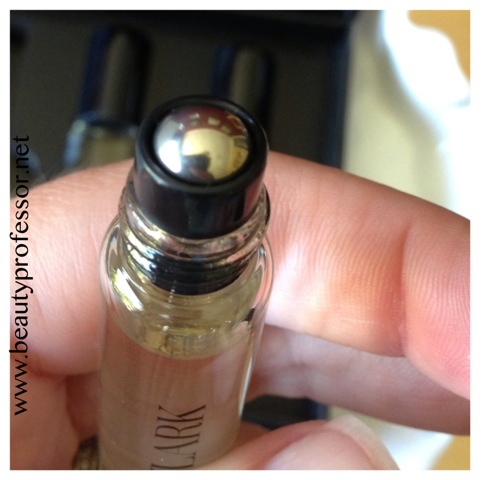 Above: The rollerball is the perfect way to control the application of the fragrance. I found that the rollerballs released an appropriate amount of product with each pass on the skin...not too much and not too little. I personally prefer a rollerball to an atomizer because I feel like there is more direct contact between the fragrance and skin, I can better control the amount of scent I apply and overall, there is less waste! Above: Official descriptions of each of the three scents. Designed to be worn alone or layered together for a signature scent, this trio offers endless possibilities. 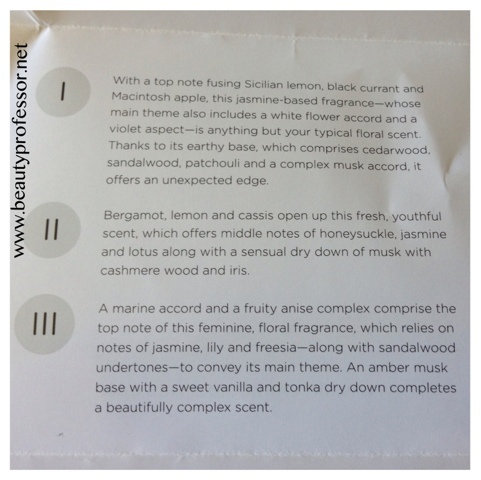 I most prefer Scent III because it most closely resonates with my sweet and musky skin scent aesthetic...additionally, it contains anise (which, incidentally, is my middle name) and I always embrace fragrance with this note! An extra interesting element spawned by this trio is that those who purchase the collection will be sent an invitation to vote for the fragrance that they like best; the winning scent will be produced in a full-sized bottle later on this year. 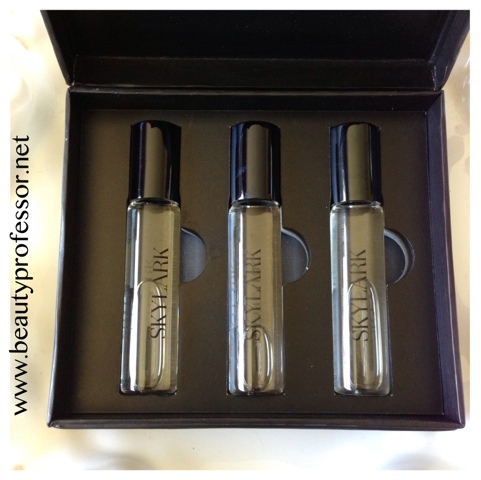 Bottom Line: The Skylark fragrance trio is a perfect investment for scent lovers who appreciate some olfactory diversity in their life. Whether you decide to keep all three for mixing and layering or choose to pick your favorite and share the other two options with those you love, the collection offers something for everyone! Love it, Krystal...thanks for sharing your favorite!! Excellent! I hope you get a chance to try it, Amber. Thanks for your comment!